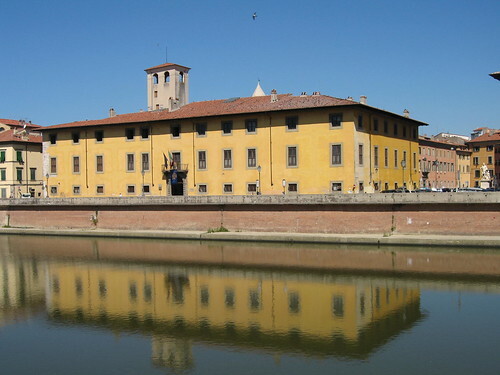 Discover Galileo’s places in his native town Pisa. Tours are available until 18 July 2009 every Friday and Saturday. Contact to book the tours: (0039) 050 910789. Our walk starts at Logge di Banchi, a portico on the left bank of the Arno, near the Palazzo Gambacorti, the Town Hall and the office of the mayor of the city. Once, the portico was the center of the social and economic life of the city. Today Banchi di Logge is used for exhibitions, fairs and craft markets. From here, our way leads to the romantic streets and tower houses of the historic center. We cross the Ponte di Mezzo (the Bridge in the Middle), which at Galileo’s times was called “Ponte Vecchio” (Old Bridge) . On the other side we find on the right hand the Piazza Cairoli. The church of St. Peter and the arcade with the Medici coat of arms are the eye-catchers of this medieval square. 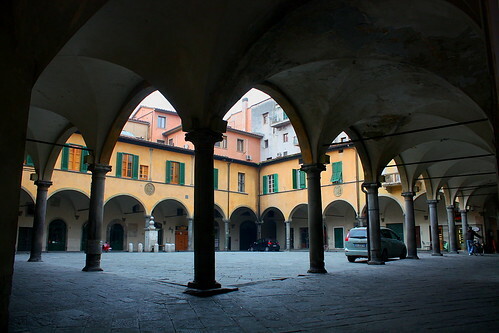 At Galileo’s times the market was held in Piazza Cairoli. Palazzo Medici (Medici Palace) – The palace is situated at the corner of the Mazzini square, and is now the headquarters of the prefecture. At Galileo’s times the palace was one of the headquarters of the Medici family. 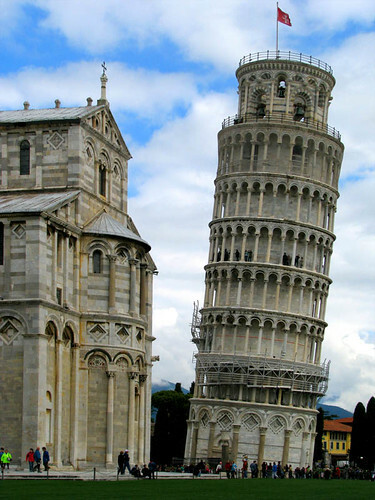 Thanks to its strategic location Pisa played a crucial role in the late Grand Duchy of Tuscany. Galileo’s birth house. The house was the residence of the family of his mother, Giulia Ammannati. Galileo was born here as the son of Vincenzo Galilei, a musician from Santa Maria a Monte, and Giulia Ammannati on 15 February 1564. At Galileo’s times there was a maze of narrow streets, which formed the core of the social life. The Church of St. Andrew is the only leftover from Galileo’s time. Jesuit monastery garden – Today the Monastery garden is owned by the University of Sant’Anna, one of the leading scientific universities worldwide. Galileo made here together with his friend Benedetto Castelli many of his scientific researches. Piazza dei Cavalieri – At Galileo’s times the sqauare formed the headquarters of the religious order of the Knights of Santo Stefano. Galileo was present at the start of construction of the architectural masterpieces in 1562 and also celebrated here the completion of the buildings at the end of the century. Palazzo della Sapienza (University). Headquarters of the old university, where Galileo first studied medicine and then physics. 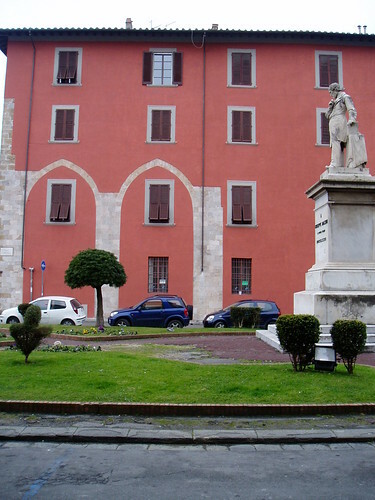 Today, there is located the faculty of law and the Library of the University of Pisa. 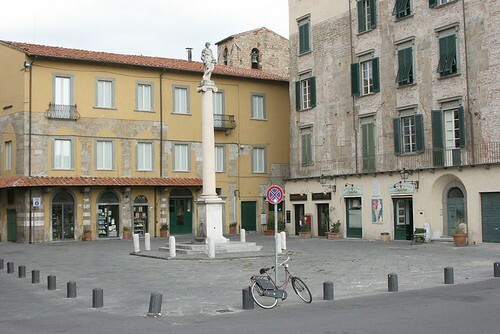 Piazza delle Vettovaglie (marketplace) – narrow, winding streets lead us to this very picturesque square. During his years of study and teaching at the University of Pisa from 1581 to 1586, this was one of the favorite places of Galileo. Borgo Stretto – A plaque remembers the building which Galileo’s father Vincenzo rented here a few months before Galileo’s birth. Palazzo Reale (Royal Palace ). The palace is now the headquarters of the National Monument Office and the National Museum. At Galileos’s times the palace was the Court of the Medici. From the tower Verga d’Oro Galileo showed his astral observations to the family dei Medici. Domus Galileiana – The Domus Galileiana was founded in 1942 by Giovanni Gentile, the director of the University of Pisa “Scuola Normale Superiore”. The Domus Galileiana is the headquarters for the promotion of scientific studies. 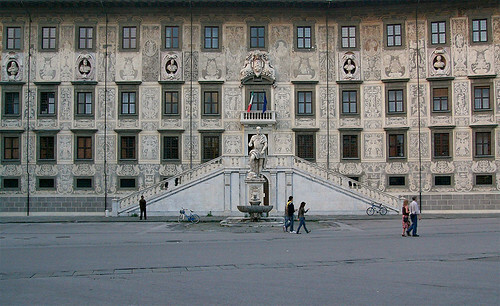 At the University of Pisa “Scuola Normale Superiore” are only admitted students whose intelligence quotient is more than 100. 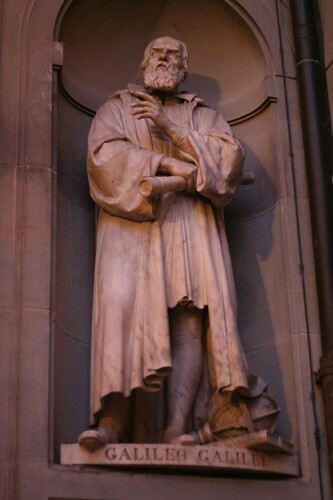 Piazza del Duomo (Cathedral Square) – Here Galileo observed the vibrations of the lamps in the nave of the cathedral, which led him to his scientific researches regarding the motion of the pendulum. Torre Pendente (Leaning Tower) – The tower was Galileo’s “laboratory”, where he made his experiments on gravity and the free fall. Probably no moment is more suitable for a holiday in the province of Pisa as the International Astronomical year, which during 2009 is celebrated throughout the world due to the initiative of UNESCO on the occasion of Galileo’s first astronomical discoveries with the telescope 400 years ago. Pisa is finally the city where it all began: the birth of Galileo, his studies of physics, his research activities and its scientific discoveries. 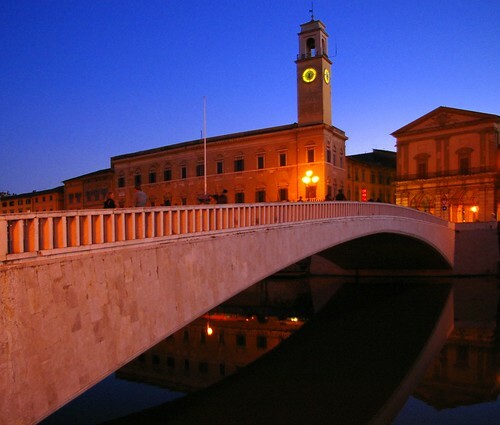 Pisa is the city where a completely new world-view arose, on which today the life of every individual is based. 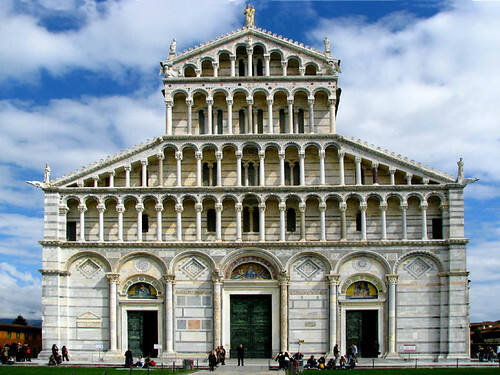 We offer you a special cultural program, that will accompany you on your journey through the beautiful province of Pisa. 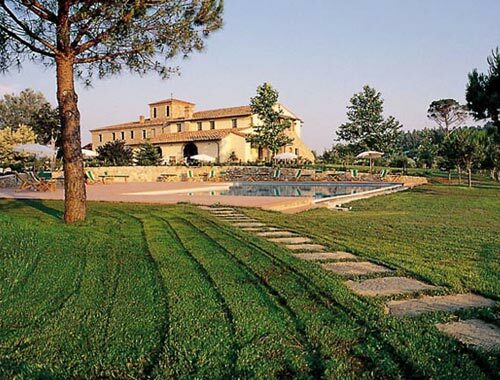 For accommodation we recommend one of our magnificent country houses.